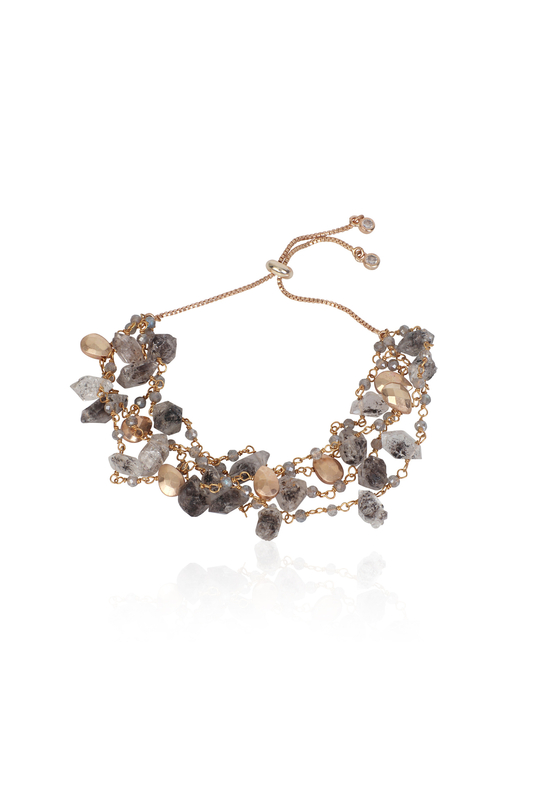 Semi-precious stone multi line bracelet designed by Atelier Mon at AASHNI+CO. Atelier Mon designs a unique piece of bracelet crafting it with multiple strings of semi-precious stones, diamonds and quartz. Style the piece with a maxi dress for a bohemian appeal.